Peel and Stick Dispenser and Cutter. Thanks to Jim Goyne for the idea of this dispenser. I recently did a review of the Peel and Stick sold at Walmart. It was one of the more popular posts I have put up in some time. The video had over 5,300 views. I showed how Peel and Stick can be used to replace the more expensive blue painters tape that many scrollers use to apply scroll saw patterns to the wood. Many of you went out and purchased the product and gave it a try. 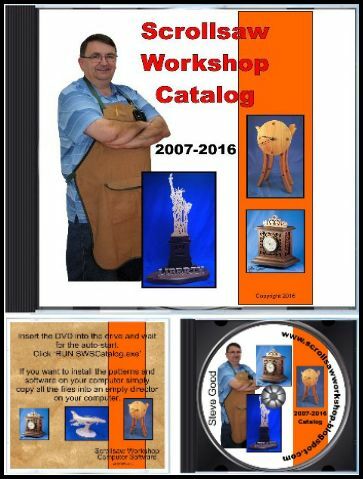 So far I am getting very positive feedback about the results you had. 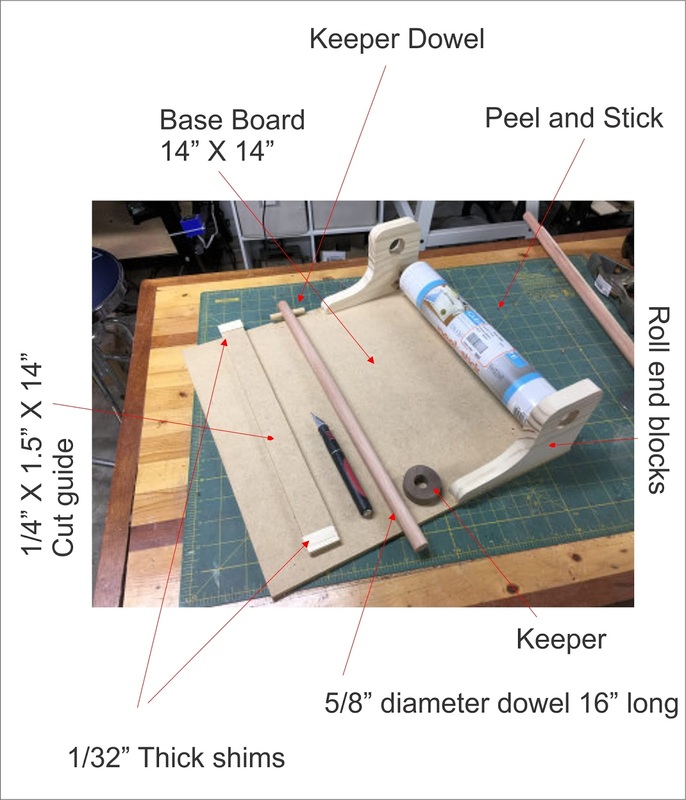 I have used the product for several more projects now and I am still happy with how it works. A couple days ago I received an email from Jim Goyne. He had tried the Peel and Stick and liked it enough to make a dispenser for it. He was kind enough to share a picture and told me I could turn it into a pattern for everyone. That is today's pattern download. X-acto knife. Scissors don't work too well to cut the Peel and Stick unless to use very sharp scissors. Thanks Jim. I will get a lot of use from this projects and I'm sure other will also. If you are an Amazon Prime member you can purchase the Peel and Stick from Amazon at this link. I don't think this is available if you are not a Prime member. http://amzn.to/2xDzfe2. If the link does nor work you can get Peel and Stick from Walmart. Does anyone in the U.S. live more than ten miles from a Walmart? Here is the Walmart link. 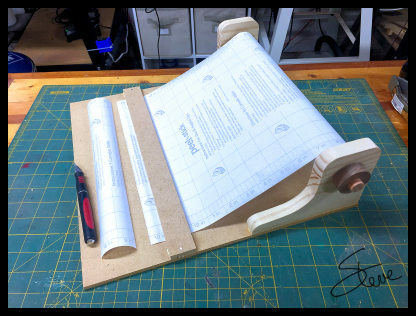 Side Note: To all of my readers who use my patterns with their laser cutters this products seems to work well to protect the wood from smoke stains. Here is a sample engraving without the Peel and Stick and with the Peel and Stick. It works really well and is a little easier to remove than blue tape after it is vaporized. This engraving was on Baltic Birch plywood. 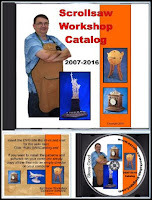 Click image for a full size view. If you need more info on the Peel and Stick product watch this video. Don't get left out. 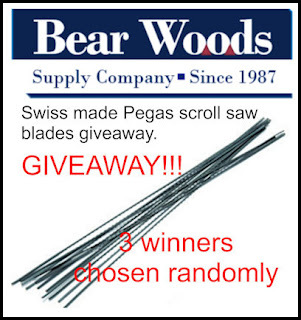 Enter to win six dozen Pegas scroll saw blades from Bear Woods. 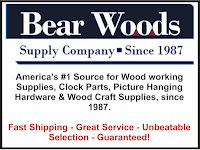 Enter everyday for the best chance to win. Three winners chose at random that last day of the month. 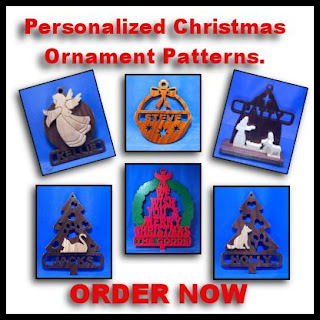 These personalized Christmas ornament patterns are probably my favorite project I take on all year. It's a lot of work but it's exciting to know that thousands of people all over the world will have an ornament on their tree that I had a small part in. 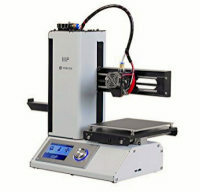 If you want to get into 3D printing on a budget this machine is the way to go in my opinion. I started with this machine and it worked very well. Do your homework before you purchase a 3D printer. There is a lot to learn to be successful with one of these machines. If you have the desire to learn then they are very effective tools.